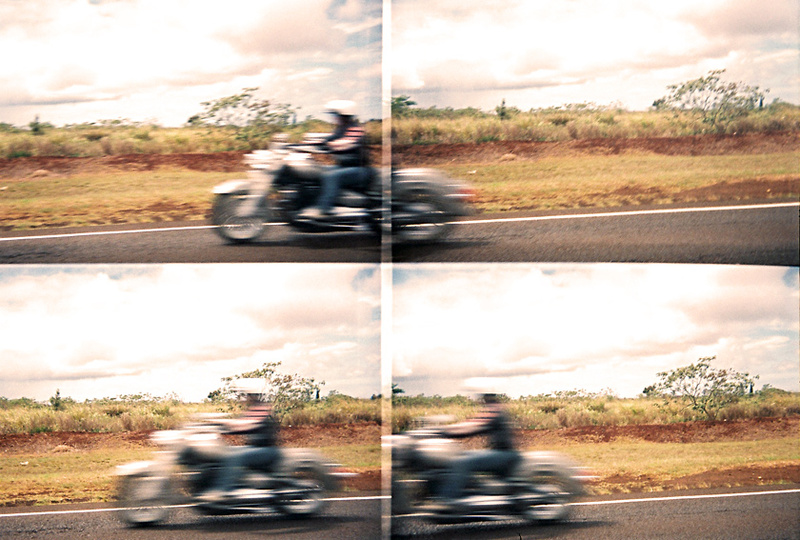 the lomo action sampler fires off four shots in about 3/4 second. the trouble is, the shutter seems like its about 1/60th sec or so, which means that following a subject with the actionsampler results in motion blur. 30 Oct This entry was written by aaron, posted on October 30, 2009 at 9:00 am, filed under esoterica and tagged 35mm, actionsampler, film, lomo, lomography. Bookmark the permalink. Follow any comments here with the RSS feed for this post. Post a comment or leave a trackback: Trackback URL. the timing down for this thing yet.